Body builders and their diets, it’s an oft-neglected relationship. Body builders need to take care of their dietary requirements. The trouble starts when people have to figure out what foods are good and which aren’t for building up those killers abs and more. You see, choosing what to eat is a venture that results in a whole lot of confusion. Body builders are familiar with this scenario. What they are not familiar with is the why. It’s because they are prone to making dietary mistakes that affect their body in negative ways. These mistakes come in the way of you achieving the perfect body growth and power. The good news is that there’s no need for your diet to be drab, dull and awful. There’s no reason why you should deprive yourself of good food whilst you tone up your body. 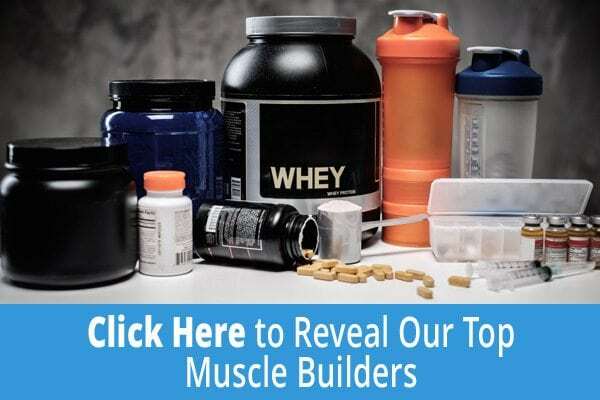 Lets take a look at these common bodybuilding diet mistakes and how to deal with them. They say that fewer calories equal increased fat loss. So far, so good. But there are some who tend to go a tad overboard with this advice. Not good. A low-calorie meal plan which extends to months is an absolute no-no. When dieting, the body undergoes stress. Add to this the increasing intensity of your exercises and your cortisol levels stay high for longer than they should. Cortisol, a stress hormone, increases blood sugar. Cortisol is great for the initial days for a quick fat metabolism rate. But leaving cortisol for an extended period of time is adverse for your health. For starters, it leaves visceral fat stores in your body. Research studies are finding that cortisol increase fuels a binge eating habit, overeating simply defeats the whole purpose behind dieting. Extreme diets might be great for your body composition but that doesn’t necessarily translate into long-term heath. One study cites it has a negligible effect on fasting glucose levels, blood pressure, and cholesterol. The human body is a unique and complex machine, each one needing a custom-tailored diet plan that works for it. However, it is important for you to take some breaks from this diet. This can help reduce your stress and allow your body to recover from it. A 1-2 week break can do wonders if you are coming from a 6 week intense calorie deficit diet. These breaks are also known to improve metabolism and performance. Instead of an intense deficit, try going for a moderate deficit. It is less restrictive and your fat loss might go a little slower. But this can mean your body has less stress and is happier as a result. For maintaining your body mass, the role of protein is essential. Getting enough of that protein for you to put on muscle is hard, and its even harder to maintain your existing muscles as well. Protein is the one food group people who are building their bodies should have more of. Protein intake can make body builders feel good. It is recommended that women from the 17 to 70 age group consume at least 49 grams of protein. For men in the same age group, the recommended intake is 56 grams. Even though these figures are the bare minimum, people should probably eat more than this. Every human body is different in a variety of ways. Your fitness level, exercising regimen and genes all influence how much protein you should consume. A good rule of thumb is that body builders should take at least one gram of protein to account for every kg (2.2 lbs) of their weight. This number is meant as a starting point. People can adjust this intake as they feel after a few weeks. Protein also has one major benefit. It helps you feel full for longer periods of time, thus taking care of overeating. In fact, another advantage of going for protein is that it aids in fat loss whilst at the same time letting you maintain a lean body mass. Your fat levels fall whilst your lean body mass levels continue to rise. There are so many diet plans that it’s not funny anymore. One day you hear your friend telling you of this radical new diet which has done wonders for him, and suddenly, you are also thinking of trying it out. The problem is that every plan takes some time and patience to deliver. And if you never stick to a program long enough, how can the results ever be measured? The human body is a complex system and it also possesses a learning curve. Then there is the issue that every human body is unique from the other. There are genetics, exercises too that also impact how quickly or slowly your body loses weight. This is why what works for someone else might not work for you. To accurately measure if a diet plan is having an effect on you, it is recommended to stick to it for 10 to 12 weeks. If you don’t see great results, you know its time to change it. This time period can give your body a chance to know its way around, adjusting to new foods, new mealtimes and even a whole new macronutrient profile. Sometimes the changes are internal before they manifest outwardly. However, if a plan results in eliciting a bad reaction from you that is the only time you can immediately change it for something better. If you gain weight or lose weight far more rapidly, or if you get ill health or have an allergic reaction to the diet, it’s a foregone conclusion the diet is not working for you. Issue #4: Headlines Are Just That. Don’t Be Swayed By Them. In this knowledge-based era, we keep hearing about some new fad diets, headlines and magazine articles that are full of new trends and tall promises and that they will fix your body instantly or bulk up your abs in no time at all. These things are, to be blunt, too good to be true. Be wary and skeptical of these new get-slim-quick schemes. And the cost of pursuing these plans might be just too much. Every great nutritional plan has one thing in common: they make you heal from the inside out. They are great for your mind and body. They are simple and they don’t require you to be moody and unhappy. In short, they are lifestyle plans as well. It’s sustainable and it gives you a solid, consistent means of losing your weight without incurring a heavy punishment as a result. Issue #5: This Isn’t Working Out For Me So I Want To Quit. There will be times when you have the nagging feeling that you are slipping, the feeling that tells you that you aren’t following the plan 100%. For many first-time dieters, the best advice you can give them is that they shouldn’t panic. Like everything, a perfect diet plan takes some getting used to and it will also take some time to ease into that habit. Just because you had some ice cold coffee today doesn’t mean your diet plan has been shot to hell. It’s not a chore but more of a lifestyle choice. It’s not a punishment. The mindset that screams ‘exercising and nutrition is like a chore’ has to go. It backfires on you whenever you think of taking that splurge and treating yourself. You end up feeling guilty afterwards. You don’t need this guilt. What you do need is a good and healthy relationship with your food. Opting for a diet also means you can enjoy great foods, feel-good foods and those who are great for your body. If you manage this 80% of the time, you are allowed a splurge every once in a while. The do-or-die everything-or-nothing mentality has to go. Nutrition is as important as sleep and exercise. Just because you slept late one day doesn’t mean you have ruined your otherwise-perfect sleep cycle. It’s the same with your meals. One day of splurges is good. The important thing to remember is you should be consistent in your nutrition. Perfection isn’t the goal at all. These 5 mistakes can help you make your diet easier and more manageable. There’s no need to lose sleep over food if you are a body builder. Just sticking to a plan most of the time is enough. For a more in-depth guide on how to bulk without gaining fat I would check out this guide. If you really want success in bodybuilding then you must get into the routine of taking healthy protein seriously. Ive been wondering how to stick to a bodybuilding diet? I dont think I have much motivation or should I say dedication.